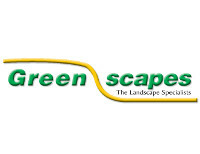 Affordable landscaping and maintenance solutions. Key services include excavation, driveway prep, site levelling, lawn prep, hydro seed, turf lawn, garden edging, planting, pavers and general garden maintenance. Our focus is providing cost effective, low maintenance and contemporary designed landscape solutions. We also provide regular maintenance services including lawn mowing and care, weeding, gardening, pruning, hedging and water blasting.